You need Praxis practice test questions area as essential as a study guide. Praxis tests like the Math; Special Education; Elementary Education: Content Knowledge; and Elementary Education: Curriculum, Instruction and Assessment require more than just content and professional knowledge. You must also have test-taking skills and higher order thinking skills like analysis, evaluation and ability to make inferences. Identify what content knowledge and test taking skills you’re lacking in now. Pinpoint your blind spots or the content that you need to beef-up in your test prep in order to pass. Dedicate 20% your Praxis study guide time building your test taking skill. Remember that even intelligent people are bad test takers. That’s why integrating Praxis practice tests into your test preparation is very important. Often test coaching help to tweak how you approach and answer test questions can spike your score dramatically. Don’t wait until your exam date to get familiar with the various structures of test questions and answer formats. You must get familiar with the “language of the test” or you’ll fall prey to trick questions. Leverage Praxis practice exams to learn the format, structure of test questions and common pitfalls. Praxis practice questions help test takers boost their ability to eye-ball correct answers (even when they’re only partially familiar with the question and answer). Even if you know about the process of elimination, sharpen and refine that skill. To get the correct answers you’ll constantly be trimming down four choices into two and then choosing the most correct answer. If you have to guess, do so intelligently. Eliminate 2 wrong answers and at least have a 50/50 of getting the correct answer. Praxis sample questions help you evaluate how well you are progressing with your reading and retention of the content knowledge in your study guide. Analyzing test questions will also an effective way to review the exam material in an interactive manner. Only use practice tests for the Praxis developed by state licensed educators who passed your specific exam. Warning: Free Praxis practice tests are often misleading, too easy and don’t cover the material you face on exam day. Good sample exams allow you to improve your test taking skills and score in real time. Divide the amount of total amount of minutes you get to finish your exam by the number questions on your test. This will tell you how much time you get for each exam question. While taking Praxis practice test questions use a watch to practice pacing yourself. Take full advantage of the time allowed to carefully read the question, carefully review the answers and consider the correct answer. If you determined you have 1 minute per question, get in the habit of only using that much time for each question before moving on. Your Praxis educator test is not a competition – so don’t treat it like one. There is no advantage to finishing first. Remember, use all of the time that you have and whatever you do – don’t give in to your competitive side by finishing first. Whether you’re a faster or slower test taker never assume the quicker someone finishes an examination, the better they’ve performed on it. Many naive teacher certification test takers rush through the examination and fail. This exam is not a race to see who finishes first. Even if you think that you’re going to be the last person in the exam room, take all of the time you need to complete your teacher certification exam. Don’t let worries that other test takers might finish before you make you feel as though you should finish fast than necessary. Use all the time given as a valuable resource to get as many points as possible on the test. Not using all the time you’re allowed undermine your focus and test score results. For 99% of test takers who don’t use the amount of time given means your missed out on additional points. That could be from not reading and fully comprehending what the question is asking, even not carefully considering each answer choice or other mistake. Praxis test is a timed test. You already need to complete the exam quickly and in a stressed state which creates ample opportunity for mistakes. Don’t amplify a challenge already a barrier by rushing through it quicker than necessary and exposing yourself to additional test taking errors. Follow the same instructions for using Praxis practice tests as slow test takers who need to speed-up. However, for you, work on pacing yourself by slowing down. Avoid skimming and scanning test questions and answers as that’s where “fast test takers” misread the question and answer choices and get answers wrong. Practice using all the time allotted for each exam question before rushing to the next question and finishing the exam ridiculously early. Make every effort to answer your Praxis test questions in order, but if you encounter a difficult multiple choice question move on to the next question. Return to the test question later. Reserve some time at the end to come back and look over answers you skipped. You’ll get clues from other parts of your ETS exam for what the correct answer is. At least you’ll have a better chance of eliminating incorrect answer choices and have a better probability of getting the correct answer. Aim for taking at 1000 different Praxis practice questions rule of thumb. This will dramatically improve your probability of getting a passing score. You’ll need to get several different Praxis study guides in order to get a total of 1000 different practice questions. (For some Praxis Series tests that do not have many prep books, you’ll need to make your own questions and answer choices. That’s more work, but even more productive exam practice. It’s even more effective in helping you achieve a passing score.) The quality of the Praxis practice test questions is very important, but the quantity ensures that you are covering all if not most relevant subject areas and not leaving holes in your preparation. If your Praxis test includes constructed response questions, locate those from the best resources online. For constructed responses or essay writing part, you need to practice explaining key concepts and theories on your own. This Praxis practice test process ensures you continue to learn, refine and sharpen your mastery of the required content. As you do, you get better and better at the skill of decoding exam questions, disarming the answers and raising your score. Making a mistake never feels good. If you realize you’ve procrastinated to the point of damaging your score, you must take immediate action. Even if you discovered you’ve been reviewing the wrong test content, you can turn things around. Just get right review book and help from a test prep mentor. Get your test preparation program on course. Do not dwell on the wrong direction you went it. It won’t help you raise your score to passing-level now, only the right study guide and practice questions will help you achieve your goal now. Whether you’re taking the Praxis Math, Social Studies, PLT (Principles of Learning and Teaching), Reading, English, Elementary Education, Science or any other content area, you know the required passing score is far below 100%. Don’t beat yourself up and stress-out when during the test if you feel you don’t know the answer and have a few wrong answers. Since this is a standardized test, it’s designed so nobody gets 100%. Many Praxis Series test questions are created to be esoteric so a vast majority of people don’t get them correct. You achieve a passing score by getting the score required that shows you’re proficient in the competencies measured. The more willing you are to accept that you’ll make a mistake, the more confident and relaxed you’ll feel during your study sessions and test taking. Don’t risk blanking-out and losing the passing score you deserve. Don’t wait until your Educational Testing Service (ETS) examination date before you learn how to calm your nerves and your mind. If test anxiety is a problem then do the following techniques to calm those nerves and get the FOCUS you need. This Praxis practice method is very simple yet it works incredibly well. Imagine you’re in the exam under real testing conditions and taking the actual test. Close your eyes and slowly breathe in and out as soon as you settle into your chair. Breathe in for a count of five, and breathe out slowly for a count of six. Repeat for a couple of times. Then imagine yourself in the testing center. Being calm and relaxed you should start feeling ready to tackle your test questions and become more confident and competent in the test taking. Feel and see yourself relaxed, calm, recalling the information and accurately answering the test questions. Why is this considered a powerful test taking tip? Simple: the more you practice calming your nerves and reduce excess adrenaline the higher your mental capacity and concentration to pass. This will dramatically improve your concentration, memory of correct answers, test taking performance and increase your test score at least 8-21%. Do this exercise several times per week. It works the best early in morning when you first awake and right before you fall asleep. Don’t get in the habit of skimming and scanning. Taking Praxis practice test questions should be all about creating good test taking skills and increasing your knowledge you’ll leverage to a passing score. No matter how many times you’ve taken Praxis practice tests, never get in the habit of skimming over the directions for each section. You might end up losing valuable points on the actual exam simply because you didn’t take the time to thoroughly read the directions. Get in the habit of reading each Praxis test question carefully. While you know that the test developers at the Educational Testing Service (ETS) design multiple choice questions to make sure you understand the content, did you know that there are plenty of ‘easy to avoid’ test question traps that many test takers fall for? In your Praxis practice test questions and during the test be aware these potential testing pitfalls: words like except, not and least, as you’ll be expected to choose an answer that doesn’t fit in with the rest. It’s very easy to lose points with questions like these, so prepare for them by staying alert for these words during your ETS preparation. Get in the habit of using scrap paper during your Praxis test prep sessions as a tool so it feels natural using this to increase your score during the real exam. Your testing booklet can be used for scrap paper – so if you’re more of a visual person, use the scrap paper to your heart’s content! Drawing diagrams can help you to clearly and accurately think through a test question. This is especially true for answering difficult Praxis math selected-response questions or writing an answer to constructed-response questions. Outlining your thoughts on paper before you start writing your constructed response answers will make a big difference in your test score. You’ll ensure you directly answer the specific question asked. You’ll have a well thought-out and articulated response. That gets a lot more points than temptation (with adrenaline under real testing conditions) to just start writing. If you do just start writing frantically (due to nervous exam energy) without outlining your ideas, you’ll likely perform poorly. You may go off on a tangent and in the wrong direction. The leading cause of low scores in Praxis constructed response questions is 1.) Failing to directly answer the exam question in a direct and succinct manner and/or 2.) Responses that comes off as a poorly thought-out, disorganized rant. Use Praxis practice exams in your prep books to teach yourself how to trust your answers. If you find yourself frequently questioning your answers on the test, make sure that you change the answer only if you have a good reason to do so. Typically, your first instinct is the right one. The last thing you need is to stress-out doubting your answers. You’ll have enough have enough test anxiety and memory recall to contend with on your testing date. Don’t wait until you’re staring down your Praxis exam before you realize you’re wasting a lot of time in things that aren’t important in the big picture when you should be studying. If you exploit these simple preparation tips and you’ll dramatically improve your chances of getting a passing score. These preparation materials for ETS test takers will not only teach you good study habits, but will blast you into the classroom as a certified teacher. Go to: FREE Praxis Practice Guide To Pass Your Teacher Certification Exam. Through Praxis exam practice, test takers understand how exam questions are posed in order to identify the best answer and write good constructed responses. Praxis exam practice enables you to identify your blind spots or the content that you find the hardest. This is why many test takers would look at the domains and competencies in the ETS Test at a Glance page and then take a practice test to ascertain how well they know their content and work their review from there. Praxis practice tests help you evaluate how well you are progressing with your Praxis study guide. In addition, the process of analyzing sample questions is already an act of learning so you are still actually reviewing. Last but not the least, Praxis test practice itself is a valuable tool. Remember that even intelligent people are terrible test takers. That’s why integrating Praxis practice exams into your ETS test preparation is highly important. You will learn how to pace yourself since the ETS test is a timed test. A word of caution when it comes to Praxis practice exams. Many sample tests are not always representative of the actual ETS exam. There are practice exam questions full of errors. Some do not come with full answer explanations to help you see why answers are correct/incorrect. For this very reason, it’s wise to combine both book study with doing practice tests. This ensures you get the both of both worlds and maximizes your probability of a passing score. However, there have been reports that some Praxis practice questions have appeared verbatim on the actual test. Your best bet it seems is to find sample questions that resembles the actual test. When it comes to the Praxis test prep, be mindful of the different test formats and master the skill of test taking. Multiple choice, Math; Special Education; Elementary Education: Content Knowledge; and Elementary Education: Curriculum, Instruction and Assessments. Though selected response tests are very straightforward as ETS claims. However, the way questions are posed can be misleading especially when there is a “not”, “least” or “except” in the questions. Moreover, learning the process of deduction can help you a lot for you can trim down four choices into two. If you have to guess, do so intelligently. You may want to go over the Educational Testing Service website for useful Praxis practice tests, tips and strategies to hurdle the multiple choice questions. Through using a Praxis practice test, test takers can easily identify when to look for a negative answer and not. Constructed response questions only like in the English Language, Literature and Composition and Social Studies. Not many Praxis practice test are well set up to score constructed responses. However, test takers can still benefit immensely from answering practice constructed response questions because it helps in getting familiar with how to explain key concepts. Though Praxis exam practice questions may only give you samples of a good and bad response, you will at least get the general outline on how to effectively answer constructed response questions. Remember that you only have a few minutes allotted for every question so it is to your advantage to come up with a quick answer. Combination of multiple choice and constructed response questions like in the Teaching Reading, Principles of Learning and Teaching (PLT) and Teaching Foundations. Many Praxis test takers do not fare well in the constructed responses part and think that they would rather concentrate on the multiple choices. This may not be such a good strategy for some of the Praxis practice constructed responses, few they maybe, weigh heavily in the total scoring from 25 to as much as 67%. Moreover, some test takers fail by a measly 2 points, which could have been easily raised by a correctly answering a single constructed response question. The actual test may follow an unfamiliar format for the Praxis test changes over time. Check out the ETS website on study tips for there is a passage there that helps test takers how to best approach unfamiliar test formats. In a nutshell, focus on the question by rephrasing it or breaking it down under several sub-questions. The key is in putting yourself in the shoes of the question writer as to what key points or theories that person is looking for when posing the question. The key in finding a helpful Praxis practice test is to study the content in your exam as well as the concepts and theories in your study guide for these should be well covered. Most Praxis study guides and test prep books have accompanying practice tests that are computerized to simulate the actual test taking process. You can also use free Praxis practice questions online where you will be scored with rationales and even a score analysis. You can also purchase the practice tests for it is a natural assumption that paid tests are of higher quality and more extensive than the free ones. The quality of your Praxis practice materials is just as important doing hundreds of practice questions. High quality preparation materials ensure you’re covering all if not most relevant subject areas. For constructed response questions, you need to practice explaining key concepts and theories on your own. You can do this by making your own test questions and get practice applying your knowledge in the classroom and students clearly and completely. To sum up, a good Praxis exam practice operates in the principle that “from application flows familiarity”. You need to continue applying what you learn for that is how you continue to learn; so much so that taking a test will become a mere walk in the park. For more free Praxis preparation resources, go to: Praxis Study Guide now. You know that a Praxis Practice Test is essential to your exam preparation to pass the ETS teacher certification exam. And so, you’ve been looking hard to find good materials so you can take Praxis practice tests. But how many times have failed in obtaining the best practice tests for the Praxis ? How many times have you been tempted to buy cheap Praxis study materials? And how many times have you been disappointed to find out that cheap study guides written by big publishing companies on Amazon.com and Barnes and Noble don’t offer any useful help? Think about it. You’ve probably bought a couple of cheap Praxis practice exam materials. And chances are you’ve also grabbed a couple of free ones. The downside is you found out the content of these practice materials aren’t accurate. They don’t really reflect what comes out in the test. You don’t want your preparation to be ruined by poor practice exams. The worse part is there are some that can totally mess up with your test preparation – which you obviously don’t want to happen. There are some Praxis practice tests that have incorrect answer keys to the practice exam questions. They’re not reliable and they can trick you into believing a wrong answer to be the correct one. This can introduce confusion to your preparation. Buying poor quality Praxis study guides is a poor investment of money and time. You’re bound to lose more money in the long run by failing your exam and postponing your teaching career. Just think of how you’ll miss on that big payday if you failed your teacher certification exam. You don’t want to delay progress to getting your degree or unemployed just because you didn’t pass your teaching exam. For the reasons mentioned above, you really need to learn how to get the best books. To avoid using poor quality preparation materials for your practice test for the Praxis exam, you need to do some basic investigation before you buy your practice tests materials. …And also get that big payday as an educator you deserve. And it all starts on how you choose the best study materials for your practice sessions. …And start having the best materials for your exam! I call this technique the “Check Point Technique” because you go through a series of checks to determine if the test preparation book or practice exam you’re about to buy is a high quality one or not. Follow the “Check Point Technique” steps below and you definitely won’t scratch your head again because you got practice materials that don’t reflect what really is on the actual Praxis test. Do some initial searching of the best Praxis practice test. It’s highly recommended to ask former test takers that you know. They’re going to give you a straight answer. Avoid relying too much on information you read from blogs.The purpose may be to promote a particular low quality Praxis practice test or study guide. Check Praxis test practice forums for a list of great practice materials. However, you have to be careful with this. Don’t believe everything you see there. Check the profile of the poster. If he is a new member and nobody can vouch for what he says is good preparation material, chances are he’s just promoting a low quality one. Only listen to the advice of long-time forum members who command respect from the forum community. Choose Praxis practice exam materials that are up to date and written by a widely recognized expert and licensed educator. 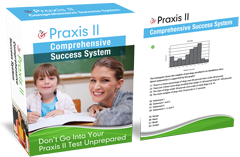 The Praxis test assesses your knowledge on the subjects that must be taught by teachers in the classroom through varying test formats that contain a combination of multiple choices and constructed responses or just either one. The more common complaint and frustration of Praxis test takers is the constructed-response questions. These type of questions entail writing detailed and well thought-out answers. Praxis tests English Language, Literature and Composition consists of purely constructed response questions while the exam in Teaching Foundations has a combination of multiple choice and constructed response with the latter weighing heavily in the scoring system. You are better off with the Praxis Math; Special Education; Social Studies, Elementary Education: Content Knowledge; and Elementary Education: Curriculum, Instruction and Assessment for these tests are purely multiple choices. For many, the dreaded writing portion cannot be avoided and many times becomes the obstacle to pursuing a teaching career. Why do Praxis test takers fear the constructed responses? “I am sure that I failed the writing portion.” Candidates believe that one cannot fully prepare writing an essay because the Praxis practice exam questions are not often well set-up to score answers to a constructed response question. You can only pick up a few hints on what constitutes a good and bad response and work from there with cross fingers. “I am a Math major so how would I be adept in writing an essay.” Constructed response questions can be answered with essay writing when the Educational Testing Service (ETS) clearly implied that it does not have to be an essay. You can make charts and diagrams or even answer in bullets. “I am a journalism graduate with accolades for my writing and the score report says I failed the writing portion, unbelievable!” The Praxis test assesses knowledge on educational theories as listed in your Praxis exam study guide and not how well you write. It is true that teachers are expected to be adept in spelling and grammar, but these hardly matter when it comes to scoring. “There are only a couple of constructed responses so I should concentrate more on the multiple choices”. Candidates do not understand how ETS scores constructed responses. ETS clarifies an important point: “Your response will be scored only on the feature listed in the scoring guide for your test”. For instance, if you were asked to point a difference, then any lengthy definitions may not weigh much unless these definitions are used to pinpoint a difference. Many times, stating one major difference will suffice to ensure excellent Praxis scores. You can check the ETS scoring guide for a specific test. “By the time I got to the 3rd constructed response question, my mind is in jumbles trying to beat the time.” Test takers feel that 15 to 30 minutes for one constructed response question is insufficient. By doing more practice questions, you can easily provide an answer to a constructed response question. After all, the questions in Praxis testing measure specific competencies that you have already prepared for. To ace the ETS test with constructed response questions, Praxis practice is the key. Bear in mind that the Praxis exam measures your ability to explain key concepts effectively particularly for technical terms that require a teacher’s creativity and resourcefulness so that the students will fully appreciate the material. There are helpful ways to simplify the process so that you can confidently answer the constructed responses. The ETS website offers valuable tips on how to approach a constructed response question in their study tips so you may also want to read on that. 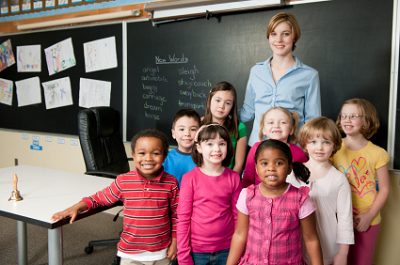 Part of your Praxis test practice regimen is to visit a real classroom and see how teachers explain difficult concepts and theories to their students. 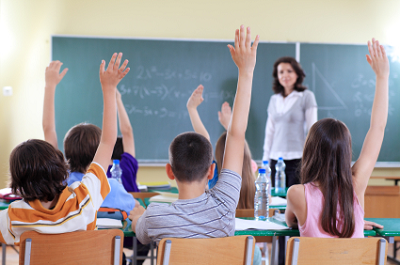 Find lesson plans, which are readily available online, to have an idea on how some concepts are taught in school. Talk to your professor on how they would teach the lesson in the classroom. If your Praxis exam entails making lesson plans or responding to case studies, always remember that you are operating on a perfect world. Always imagine a hypothetical classroom and bear in mind that you are applying an educational theory on a perfect classroom and not a real one; by perfect, it means that the kids are well-behaved. There are many Praxis constructed responses sample questions for different types of assessment test that test takers can learn from in order to hurdle this ambiguous and often scary part of the Praxis test. For the Praxis test on the English Language, Literature and Composition, and Teaching Foundations: English. Check out the Cliffs Test Prep Praxis : English Subject Area Assessments by Diane E. Kern, which provides useful strategies on how best to approach a constructed response question. You could learn how to break down the question into easy parts, which will serve as your outline. In this way, you tackle the question piece by piece to ensure that you are answering the question completely. For the Praxis Principles of Learning and Teaching (PLT), read a lot of case histories and answer short answer questions. Based in Amazon.com reviews, Cliffs Praxis Test Prep: Principle of Learning and Teaching scored higher than other reviewers because it has everything that you need to know about PLT. Since the test is mostly case studies and short answer questions, you really need to review all the theories and educational theorists as well as the strategies and laws in order to come up with correct answers. For the Praxis examination on Teaching Reading, the 3 constructed response question approximately total 25% in the total scoring, which goes to show how important that you answer this part correctly. You need to focus more on instructional practices, curriculum materials and assessment. For Praxis Middle School Math, the constructed response questions measure how you will teach Math in the classroom so this should be less challenging once you know your basic formulas, which can be learned from your old textbooks and various internet sources. The real truth in mastering the Praxis test constructed response questions is by mastering the strategy and more importantly, mastering your fear of the dreaded essay, which in many cases may not even be required. As long as you follow these simple steps, you can avoid ruining your preparation with poor quality Praxis practice tests. More importantly, you can better prepare. Do you want to learn more tips when choosing your Praxis Practice Tests? Go to: How I Passed The Praxis By Avoiding The Common Traps And Blunders of Praxis Test Preparation report now.